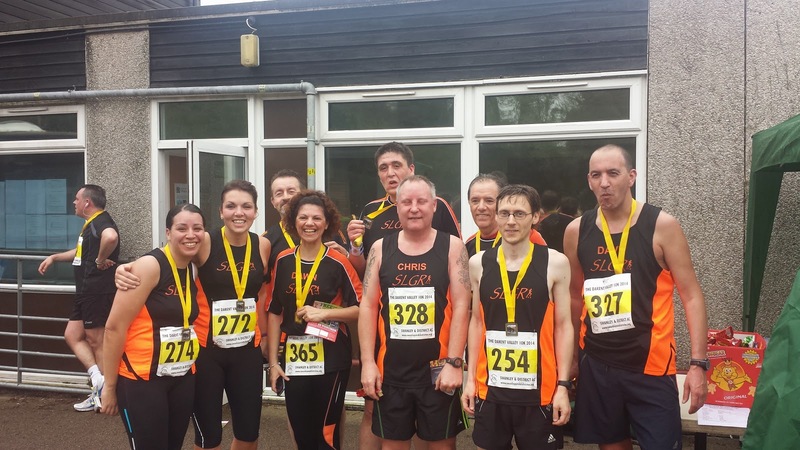 The Darent Valley 10k is organised by Swanley and District AC and takes place around the villages of Eynsford and Farningham, in Kent. I entered the race a few days beforehand via the run Britain website and as I am (officially) an unattached runner I paid the full £15 registration fee. The cost for affiliated runners was £13. Each of those prices rose by £2 for on-the-day entries. As the race was fairly close to home, I had arranged to cycle down to Eynsford with my friend Terry (@rencestar) and he entered the race on-the-day. Upon arrival, we found a small set of bicycle racks and after locking our two-wheeled-steeds to it, we went into the race HQ. For the record, car parking was provided in a separate grass area adjacent to the school. 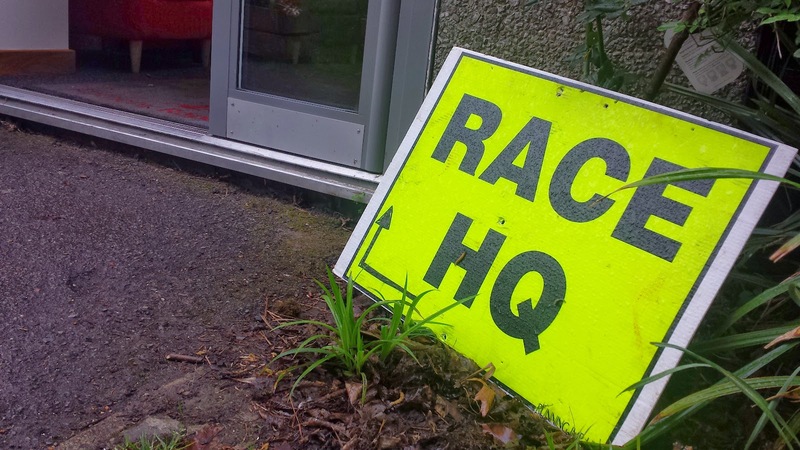 Race HQ was in Anthony Roper School. The bib collection tables were set up in the main hall and this is where the majority of the runners were hanging out and getting changed. It also doubled as the bag storage area. 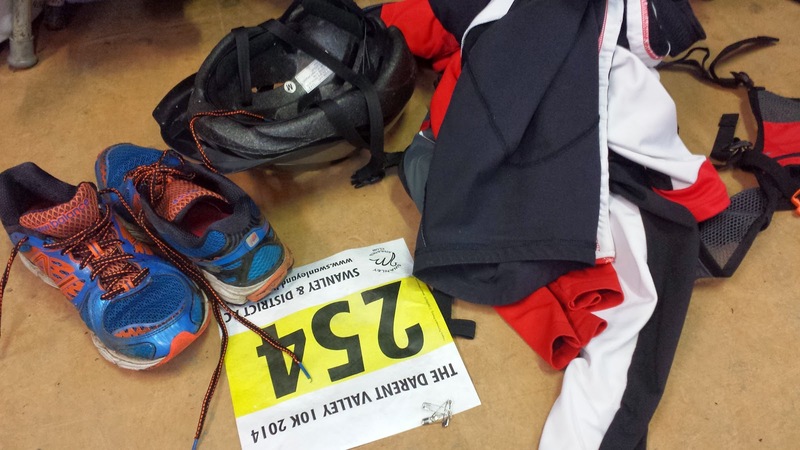 I changed into my So Let's Go Running singlet and pinned on my number. There are some small toilets within the school and there was a long-ish queue. However, there were plenty of portaloos around the back of the school in one of the playgrounds. There was no queue at these and I had no toilet queue dramas (unlike the week before at the Paddock Wood Half-Marathon). The race started from the school at 8.30am. Runners turned left out of one of the gates and headed north along the A225, which had become quite badly pot-holed (I think due to the wet winter we had just had) but the marshals were all very vocal in their efforts to ensure everybody passed through this section without tripping on one. At the end of the road the course turns left to take runners through the village of Farningham before climbing a short hill out of the valley and turning onto Sparepenny Lane. Shortly after, it passes the 2k (8.01) and then 3k (11.21?) markers to head along the relatively flat country lane that eventually takes the runners back down into the valley at Eynsford. 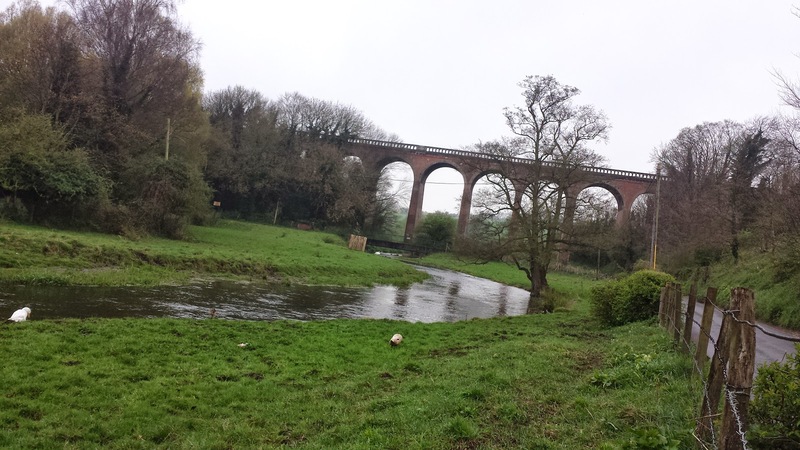 At Eynsford, the course turns down Lullingstone Lane, passes underneath Eynsford viaduct - an impressive red-bricked sight featuring nine arches and passing 75-feet above the valley the runners are running along. The River Darent meanders to the left of the runners through the fields where highland cows are not an unusual sight. 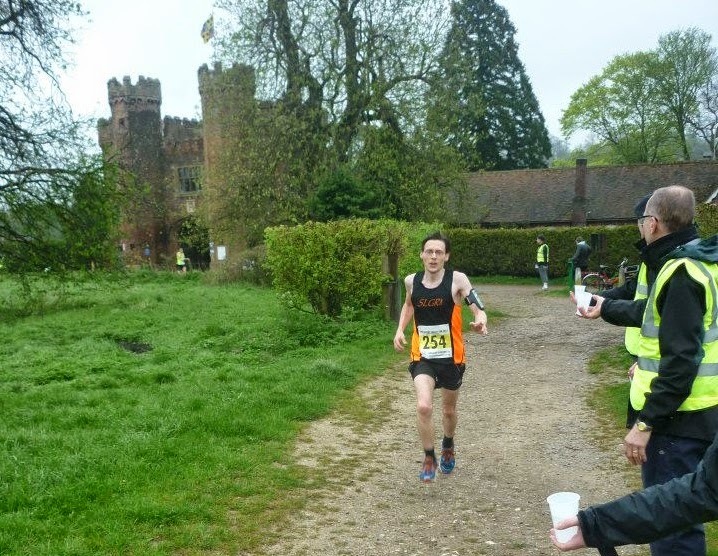 The runners continue along the lane which starts to undulate and then passes Lullingstone Castle. Just after passing the 5k marker (19.57), there is a water station and the smooth roads and paths give way to a stony path, this then turns into grass and then finally a downhill dirt trail. At the bottom of the trail, the runners are reunited with the smooth tarmac and following another brief section on a stony surface finally hit the longest and hardest of the course's uphill sections. Towards the end of the uphill, the course meets the A225 and the runners soon pass the 7k (28.52) marker. It was at this point that I realised that I had quite a bit of work to do if I was to stand any chance of reaching my sub-40 minute goal finishing time. 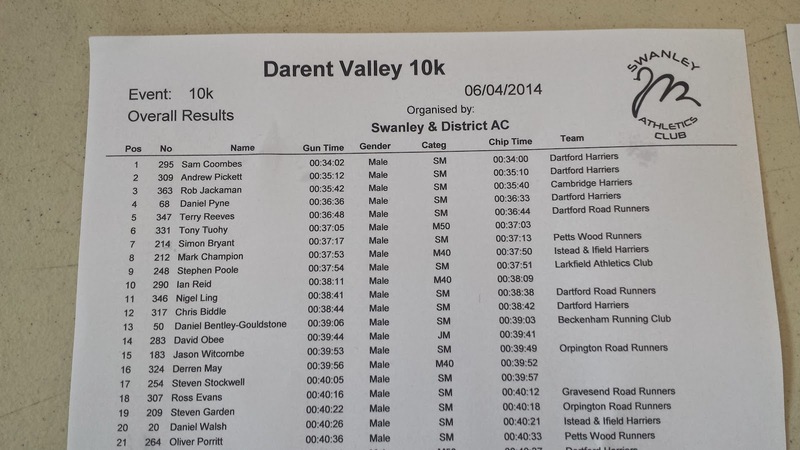 To save you the maths, I was running over 50 seconds behind the required pace. Fortunately, the last 2 kilometres are almost entirely downhill (but with a few uphill undulations thrown in). So after passing the 8k marker and forgetting to check my watch, I started the push for the finish. 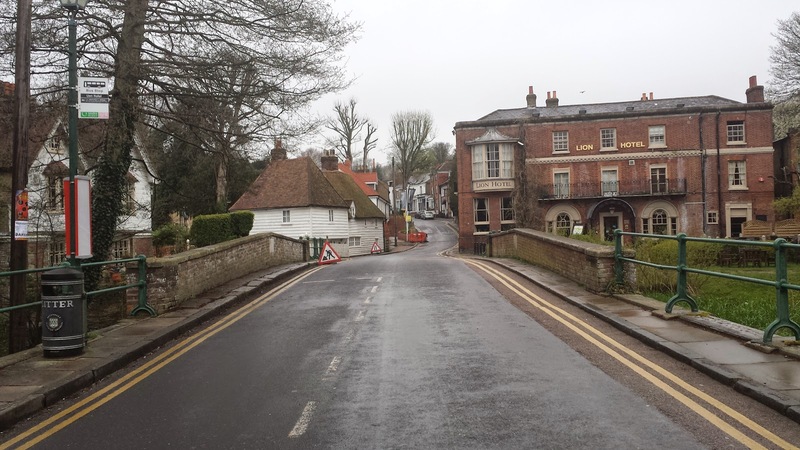 The route brings runners back into Eynsford via the southern end of the village, past the train station and then down into the centre of the village. The finish line in the school grounds is further along the road, and there is one final, gentle incline just before the end. Upon turning into the school entrance, there is a sharp drop which allows for a very fast finish over the last 30 metres or so, I glanced down at my stopwatch and saw that it said 39.54, so I sprinted as fast as my legs would take me, crossed the line and almost couldn't slow down in time to collect my medal from the marshals on medal duty. By the time I had stopped my stopwatch, the timing read 40.08 - I knew my finish time would be a few seconds faster but I didn't know if I had managed to break the 40 minute mark. Fortunately the results had been printed and were available for viewing in the main hall. My gun time was just over 40 minutes, but I wasn't right at the front when the race was started, so I checked for my chip time, which showed that I had came in just a few seconds under 40 minutes, in 39.57. The course was clearly marked and the marshals were fab - I even knew some of them, so it was great to be cheered on by name as I passed (thank you!). 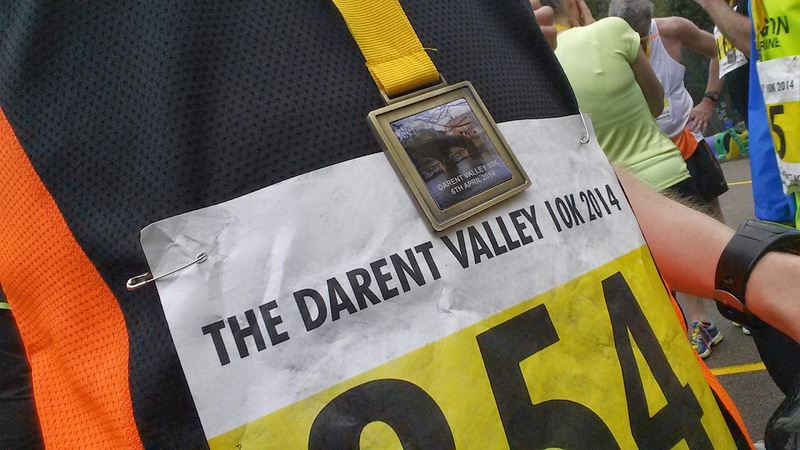 The medal is slightly different to the standard run-of-the-mill offerings that are common at local races. Instead this one features an image of an interesting feature on the course - it changes from year to year and makes a nice change from the norm. The facilities were all fine, the only thing I didn't spot was a sign directing runners to the portaloos, but I'm pretty sure there would have been one and I just missed it. After some water and bananas (and watching the awards ceremony), it was time to hit the road so we (the two of us plus our new So Let's Go Cycling recruit - Ben) took a lovely relaxing ride through the country lanes around Horton Kirby and South Darenth back to Dartford. If you're interested in splits and all that (including hill profile) you can take a look at my gps data from the race. My 5k splits times worked out at 19.57 and 20.00 so that's a slight positive split - not bad considering the second half had the bigger hills (or inclines if you prefer).